I saw this book on a stall in Mumbai, picked it up – yes, I liked the cover – and bought it because according to the blurb it was set in the World War II period, and Bette, the heroine, becomes involved in anti-Nazi espionage and has her whole life changed by the war. As did so many others. Including my darling grandmother, whose vivid memories and true-life stories left me imprinted with a love of the period that seems to grow only stronger as the years go by and I miss her more. The first hint of what the future holds for Bette (at the outset a seemingly very ordinary mid-American girl) comes when her friend Gretel, a Jewish refugee from Hitler’s Germany, is picked on by the other girls at school. “Why don’t you go home, Jew girl? You’re not wanted here!” and other such remarks similarly indicative of intelligence and sensibility. Astonishing just how rife anti-semitism was in the States throughout the 30s, and how widespread support for Hitler. But Bette defends Gretel, and is joined in this by Curt, the one boy in their year that all the girls dream about. And it is Bette that Curt asks to be his date for the Senior Dance which marks the end of their schooldays. Bette lands a job as a secretary with the War Department and moves to Washington, where she lives with family friends. Curt, at university and planning to be a teacher, comes to visit every Sunday. They go to church together. They get engaged. But there is no way he will agree to marry her until he has finished his studies and found a job. Meanwhile, Bette notices something fishy going on at the War Department, and brings it to the attention of J.Edgar Hoover, head of the FBI. In so doing, she also, inadvertently, brings herself to his attention – and to the attention of a charmer called Ted, whom she ends up working alongside, as his partner tracking down Abwehr agents spying on American preparations for entry into the war that has now broken out in Europe. One of the things this very strait-laced girl has to learn to do in her work in counter-espionage is to flirt. Yes, flirt. Ted teaches her. In fact she turns out to have an aptitude for it! We also see at harrowing first-hand the treatment of a shipload of Jewish refugees being refused entry into the States and sent back to Europe, and follow the story of one woman on that ship, Ilsa, the cousin of Bette’s friend Gretel. 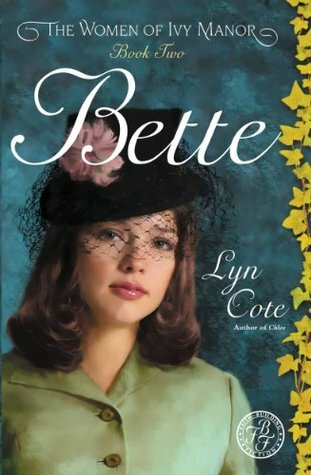 I have to say that I don’t intend to read the other books in the saga – “The Women of Ivy Manor” (this is Book Two) but as I mentioned above, any book that tells the story of a young woman caught up in WWII always appeals to me, and this was a good one.